Despite repeated requests from humanitarian organisations, UNMISS is taking no actions in the camp to improve their chances of survival. Médecins Sans Frontières (MSF) today questions the UN’s commitment to meeting the needs of the war-torn country’s most vulnerable groups and calls for immediate action to save lives in Tomping camp. 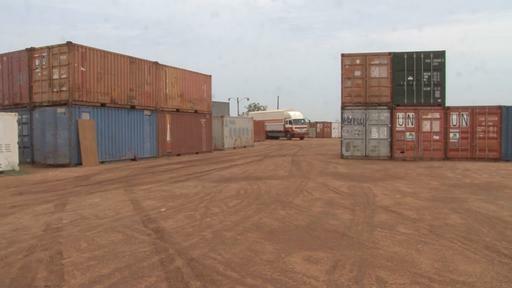 The Tomping UN peacekeeping base, in the capital Juba, has been host to people who fled for their lives when conflict erupted in December. They are crowded into low-lying parts of the compound that are known to flood. Diarrhoeal diseases, respiratory infections and skin diseases already make up more than 60 percent of the cases in MSF’s clinic in the camp. A UN plan to establish an alternative site has been mired in implementation delays and is now unrealistic. Repeated requests by MSF and other organizations to expand the Tomping camp into available non-flooded space in the compound, at least as a temporary life-saving measure, have been inexplicably refused. “The UNMISS decision not to improve conditions in Tomping is shameful,” says Carolina Lopez, MSF emergency coordinator. On 3rd April, Hilde Johnson, head of UNMISS, stated herself that the Tomping camp is ‘at imminent risk of turning into a death trap’. She then announced that it will be closed in May. However, only 1,118 residents have been moved over the past 5 weeks. Although the plan may have been a valid option a month ago, moving some 20,000 people to a space that is far from fully prepared in this timeframe, with the rains starting, is unrealistic. In the meantime, it is hard to understand why available space in Tomping cannot be used to save lives. In the capital city and therefore easily accessible, Tomping is the most visible example of a shift in gear that is required country-wide. Elsewhere in South Sudan there are hundreds of thousands of displaced people, tens of thousands are in other UNMISS camps where MSF sees a disturbing lack of preparedness for the impending floods. Next to the squalor of the Tomping camp for displaced people, which is located on flooded areas of low-lying land in the heart of the UNMISS Tomping base, there are large dry spaces that the UNMISS leadership have repeatedly refused to allow for humanitarians to improve the dire living conditions for the displaced. 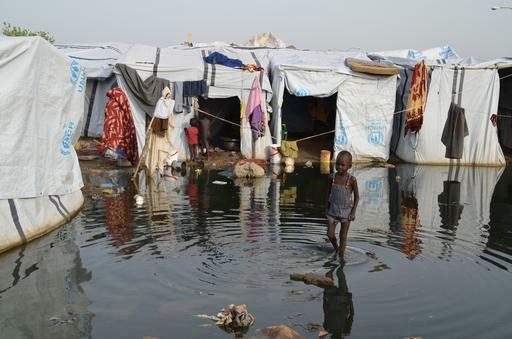 In Minkamman, which is an open camp rather than inside a UN compound, some 82,000 people who fled fighting in Bor are also living in appalling conditions. MSF runs four clinics providing 2,000 consultations per week, and with the current gaps in sanitation, the team is very concerned with the possibility of water borne diseases. “The UN mission in South Sudan reported to the UN Security Council on 18 March that ‘Protection of Civilians’ is a key priority,” says Jerome Oberreit, MSF Secretary General.